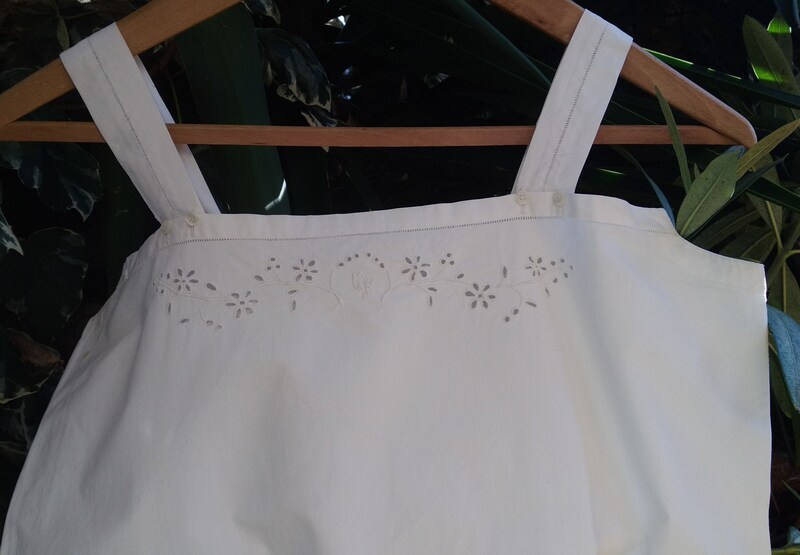 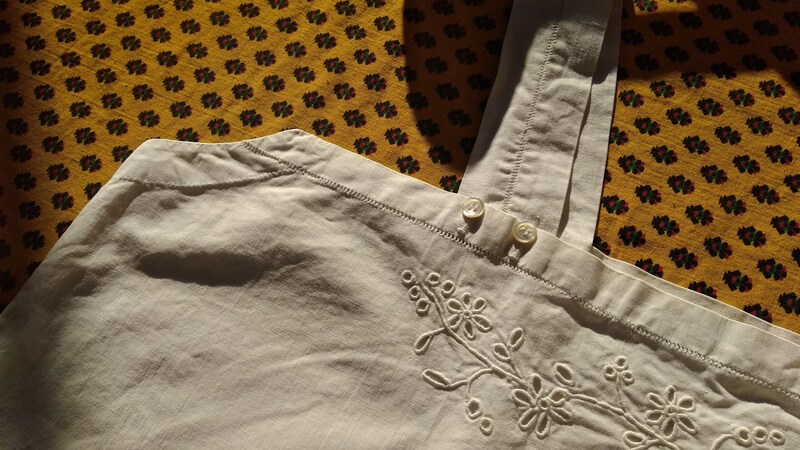 Shoulder straps with double mop buttons. 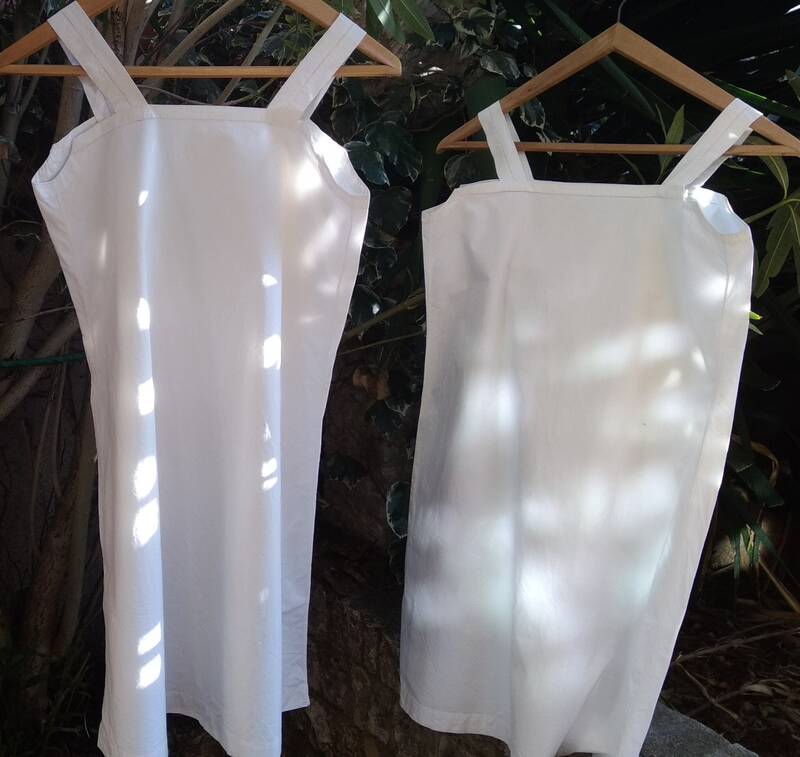 Those dresses were used as nightgowns. 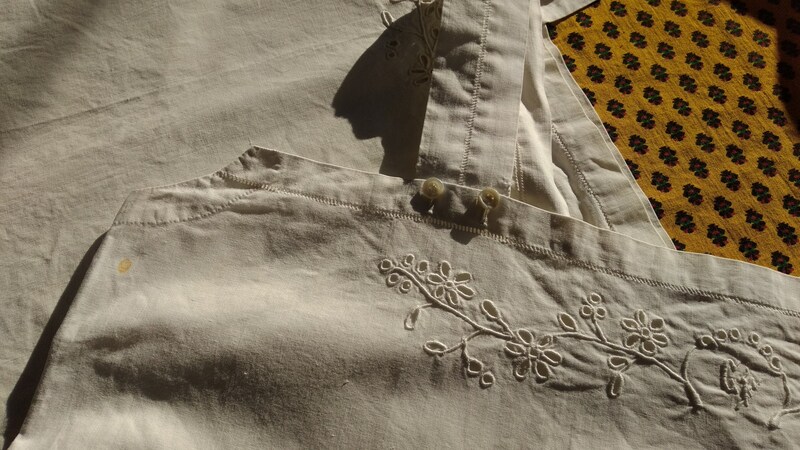 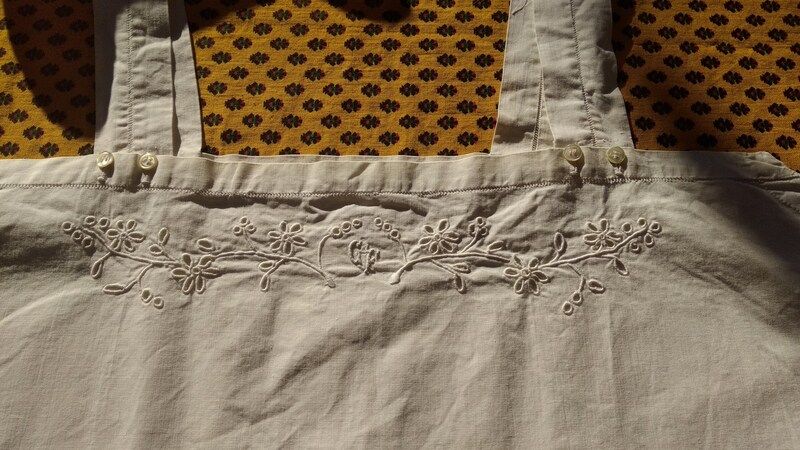 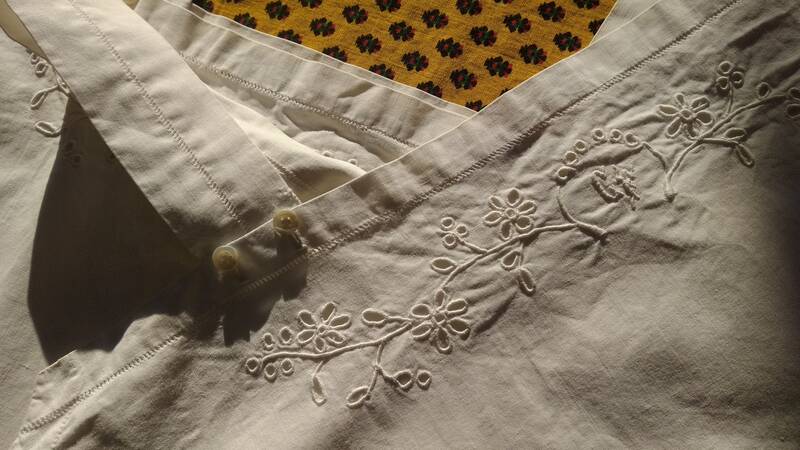 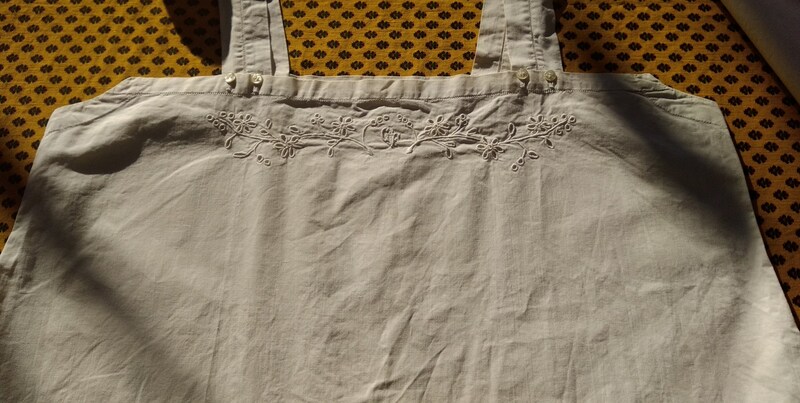 I'm wearing antique cotton dress I'm dying them with tea, spices.. customize them with flowers, buttons.... 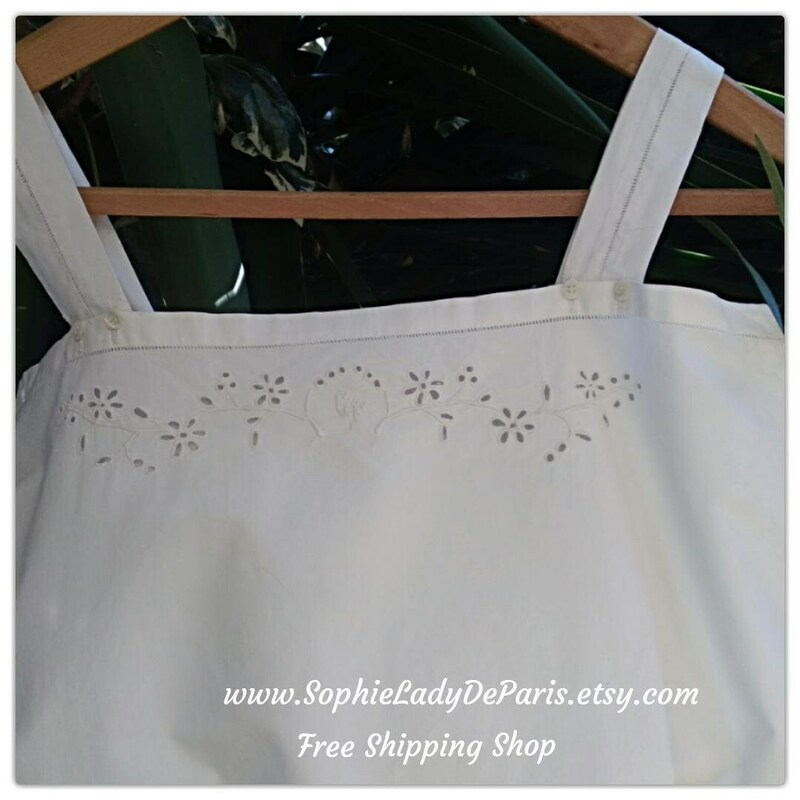 Very comfortable to wear at home for the spring and summer seasons ! 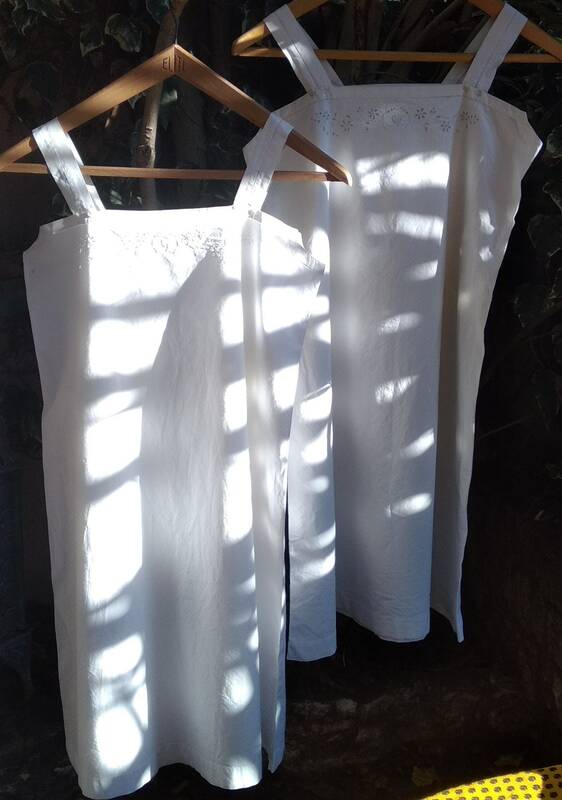 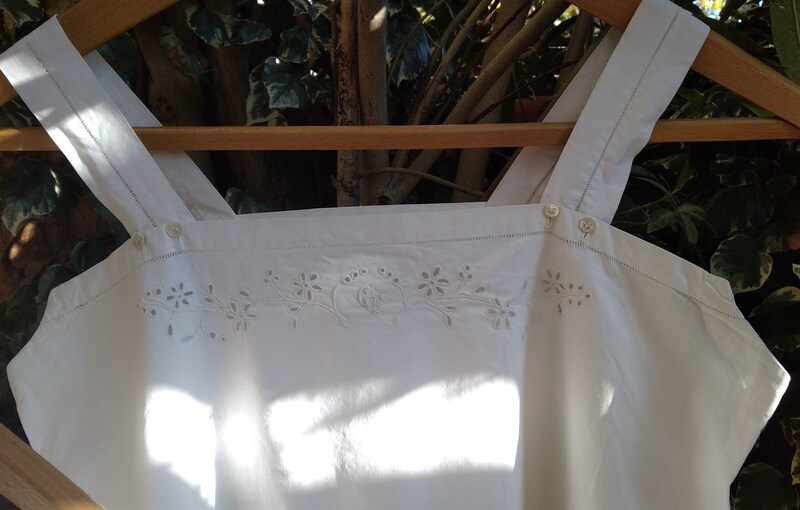 Gorgeous Natural Dress or Nightgowns !